The below committees are responsible for taking care of our teachers and staff and for ensuring our school grounds are kept looking great! 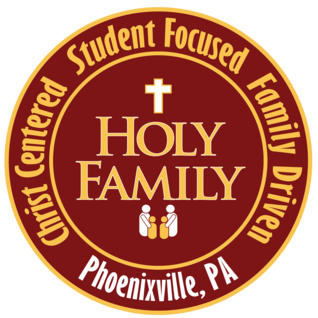 If you are interested in helping out with any of these committees please email has@myholyfamilyschool.org. We would love to have you join our team! During in-service days held at our school, Home and School will provide lunch to the teachers. The Teacher Luncheon Lead will coordinate the luncheon and ask for volunteers to bring in items and donate their time. The volunteers will be assigned by the lead and will consist of two or three grades for each lunch. The Teacher Luncheon Team will assist the volunteers with set up and cleanup of the function. The Hospitality Leader will run the first luncheon held in August. A luncheon is also provided during Catholic Schools week on the specified teacher appreciation day. This lunch will be purchased by Home and School. The Teacher Luncheon Team will coordinate the event. Students and their families visit the fair to check out the latest books. Books can be purchased for personal reading or to be donated to the classroom or library. Volunteer to help children make wish lists. Help with the book sales. Set up and pack up book fair items. Donate a baked good or snack for a family event. Description: Help thank our teachers and administrative staff for all of their hard work throughout the year. A small token or food treat will be presented to the teachers on a monthly basis to show our appreciation. The Staff Appreciation Lead will coordinate this treat on a monthly basis. Grades may be asked to donate food items for some of the months. Teacher Appreciation Week is held in May. The monthly appreciation gift will not be needed due to the celebration during the week. This special week will be coordinated by the Staff Appreciation Lead and the Home Room Parents. Description: An in school Christmas shopping event for the students in all grades. Description: Welcome all of the new families to our school and community. Volunteer at the new family ice cream social to assist with setup/cleanup. Description: The Uniform Exchange is a service that Holy Family School offers to all who attend the school. Using the uniform exchange is a great way recycles old uniform and provides gently used uniforms to your students at no cost. Periodically check to make sure the area is neat and uniforms for current season as available.